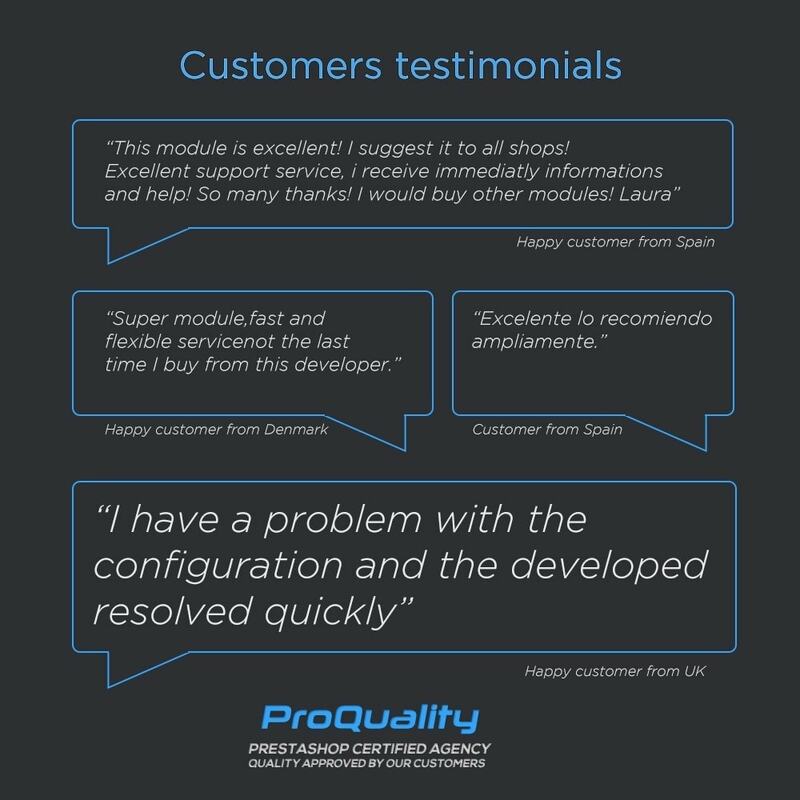 The merchant needs to understand how pages get indexed and how this module can improve the SEO for their store. Let`s say you sell a good TV at an affordable price, the product sells very well and it gets indexed in search engines. By doing that you get more sales and more visitors to your site. After a period of time the TV technology gets older, that model does not manufacture anymore and you have to remove it from your store. You loose all the indexed pages in search engines and all the visitors from indexed links. 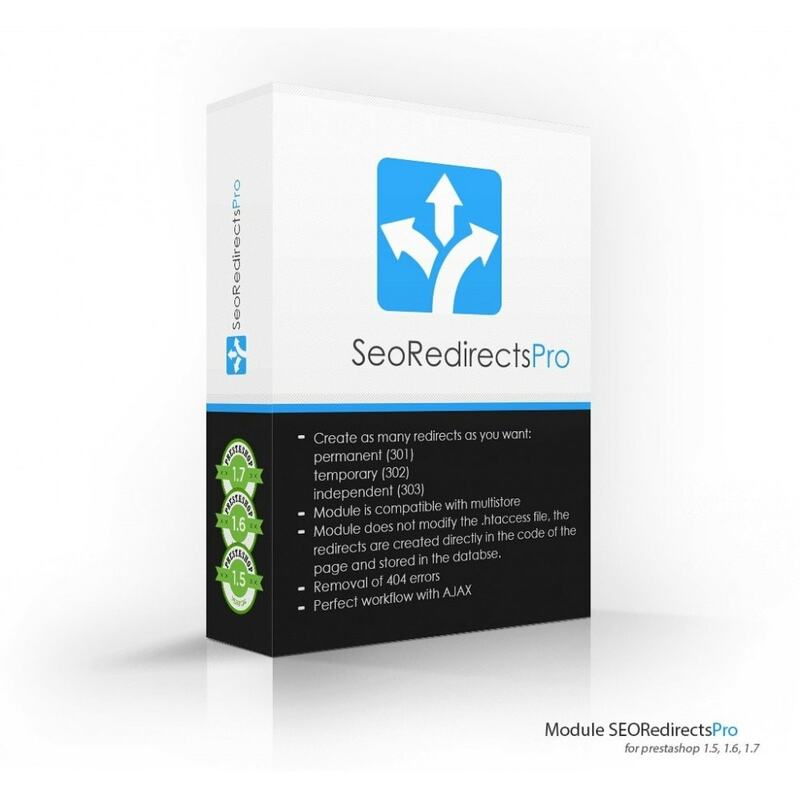 Instead you have SeoRedirects Pro and redirect the page of that product to another page from your website to a new product. 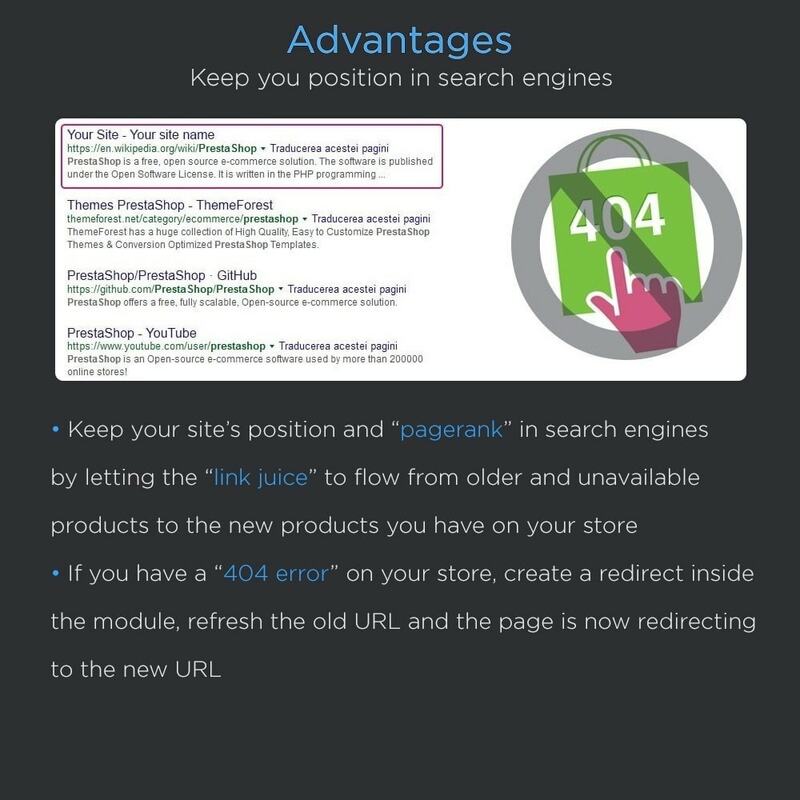 You will get visitors to buy the new product and you will keep all the indexed pages. Win-win situation. SEO ranking is also penalised by Google when its robots crawl your website and can't access certain pages. This is why it is important that you redirect them to functional pages in order not to affect your SEO. 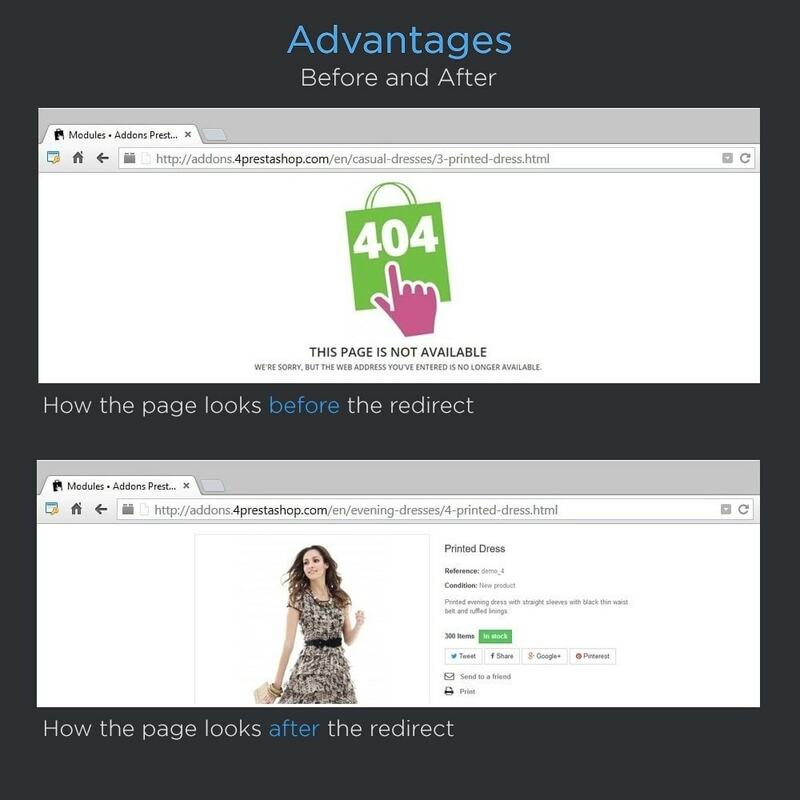 Create as many redirects as you want: permanent (301), temporal (302) and independent (303). 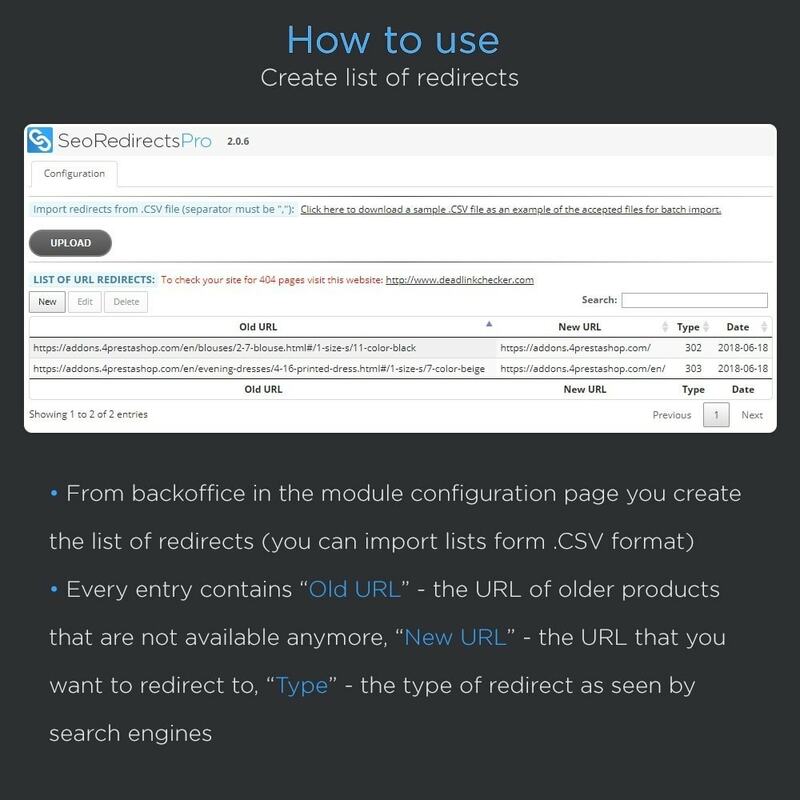 Module does not modify the .htaccess file, the redirects are created directly in the code of the page and stored in the database.